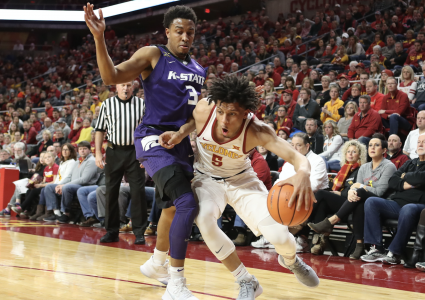 AMES — Iowa State’s 92-83 loss to TCU on Saturday was not the program’s worst home performance in recent memory. I mean, this is the same place the Cyclones lost to Milwaukee 15 months ago. 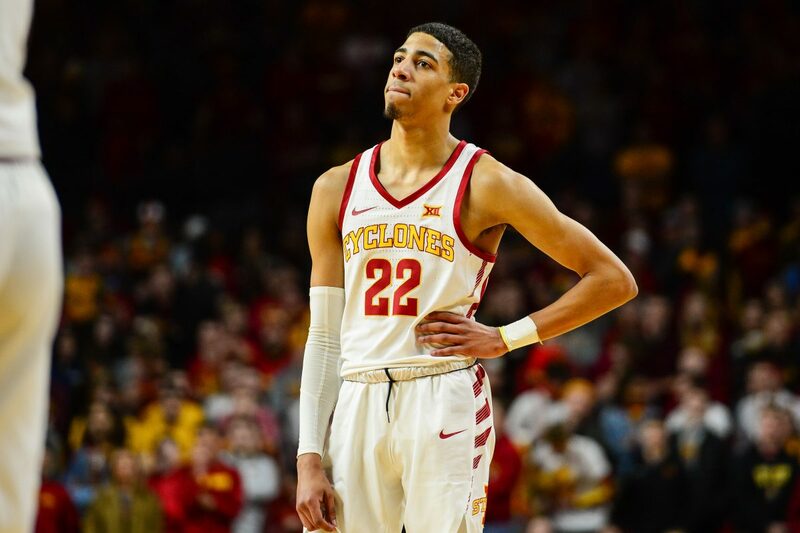 But an argument could seriously be made for it being the most disappointing home performance by an Iowa State basketball team in the Steve Prohm era. Two hours before tip, the Cyclones (18-6, 7-4 Big 12) were announced as the No. 13 team and top four-seed in the NCAA Tournament Selection Committee’s initial top-16 seeds. Three hours after the show on CBS ended, Iowa State had been defeated by a TCU program (17-6, 5-5 Big 12) that was .500 in league play and had not beaten an AP Top-25 opponent on the road in more than 20 years. It was an inexplicable performance for a team with Big 12 title aspirations that suddenly feel a lot more like dreams than reality. As poor as Iowa State was on offense, this game was lost on the defensive end. The Horned Frogs averaged 1.211 points per possession, a number that if stretched across the entire season would lead the nation by a wide margin. They entered the contest averaging 0.944 points per possession, a very good number but by no means elite. The Cyclones were eviscerated off the dribble from the point Jamie Dixon picked up a technical foul with Iowa State leading 13-4 and 14:11 left on the clock in the first half. TCU followed up its coach’s tech by going on a 20-2 run to take control of the game. 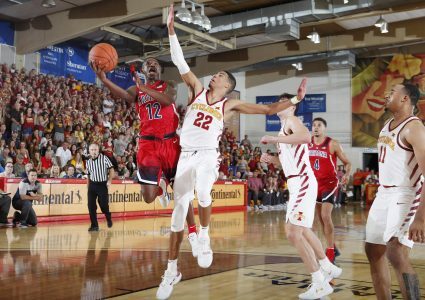 The Cyclones made runs and got back to as close as five points early in the second half, but they were never able to seriously threaten the Horned Frogs’ lead purely because they were not capable of getting enough stops to do so against the nation’s No. 35 adjusted offense according to KenPom. Offensively, Iowa State looked lost for a lot of the first half, shooting just 1-of-11 from 3-point range while its backcourt struggled to create much any production whatsoever. If it hadn’t been for Michael Jacobson, who scored 16 points on 8-of-10 shooting with 10 of those points coming in the first half, the Cyclones probably would have been out of the game considerably earlier. 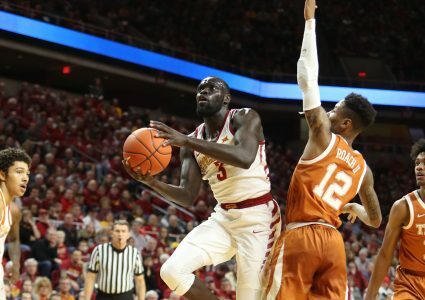 Marial Shayok continues to struggle shooting the basketball and does not look like the same player who was leading the Big 12 in scoring two weeks ago. He finished the game on Saturday with 24 points on 7-of-17 shooting from the field, 1-of-7 shooting from 3-point range and 9-of-10 from the free throw line and most of those points came in desperation time. Nick Weiler-Babb was uncharacteristically inefficient finishing with 15 points on 4-of-13 from the field and 3-of-7 from deep plus three assists to two turnovers. Lindell Wigginton’s shooting woes continued as well as he scored 10 points on 2-of-9 from the field. Iowa State finished shooting 45.2 percent from the field but was a dismal 7-of-24 from 3-point range. Many shots felt forced and even the ones that did not feel forced did not go in the basket. Now, the Cyclones and their fans enter a bye week with a seriously sour taste in their mouths. We will have nearly a full week to contemplate this performance leading into a road trip to Manhattan for a date with the Big 12 leading Kansas State Wildcats. Something has to change or next Saturday’s trip to the Octagon of Doom won’t be much fun. Iowa State has played worse during the Prohm era, but it is hard to remember a game this disappointing.